Uber this week announced a partnership with startup "Cargo," which aims to increase the wages of rideshare drivers by providing them with small containers filled with goods that riders can buy during their trips (via TechCrunch). Despite the new partnership with Uber, Cargo will still support drivers of other ridesharing apps. Cargo works by providing drivers with a free Cargo box filled with free products and free shipping on all product replenishments, as long as the driver has at least a 4.7 rating. When the rider gets in the car, they can browse which items are in their driver's Cargo box by opening the Cargo mobile site, add the products to their cart, and checkout on their smartphone. Payment methods supported include all major credit cards, Apple Pay, Android Pay, Venmo, and Paypal. When complete, drivers earn $1 per order and average $100 earnings per month, according to the company. Since its launch last summer, about 7,000 rideshare drivers have made more than $1 million with Cargo. On an annual basis, drivers earn an average of $1,200/year, and the top 10 percent of drivers make $3,600/year in income. 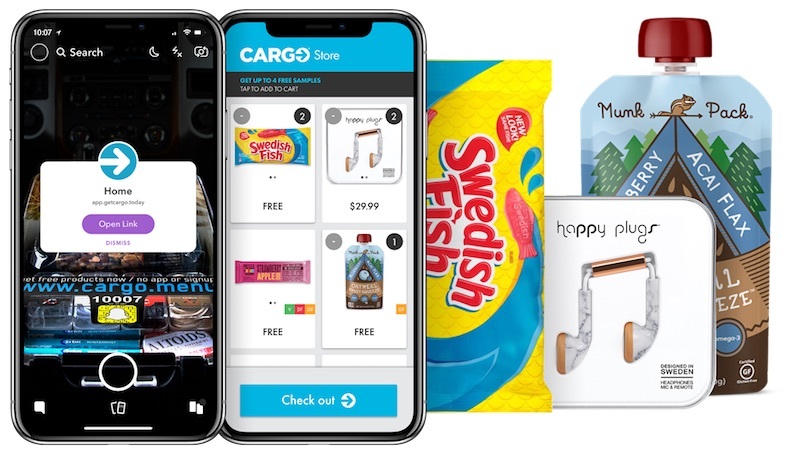 Items in Cargo boxes include energy bars, gum, mints, various snacks, beauty items, beverages, electronics like earbuds and small phone chargers, and free samples of many of these products. 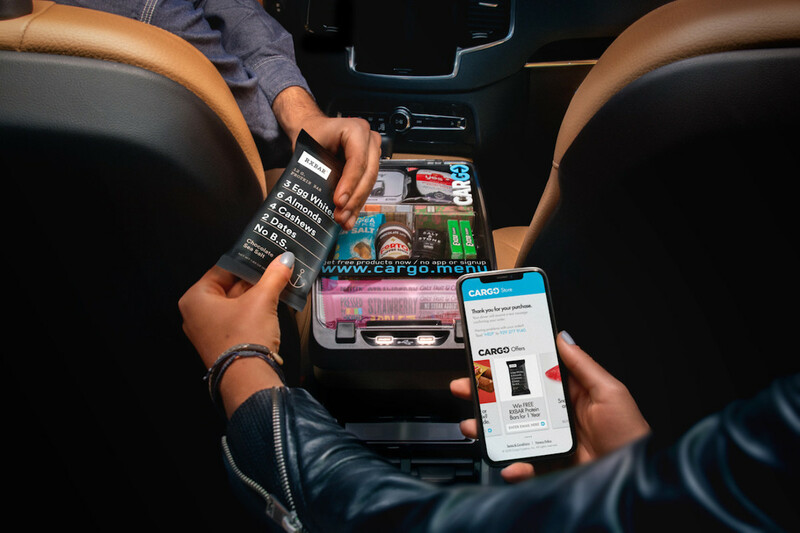 Riders will still have to leave the Uber app to pay for Cargo items by visiting the mobile site (which they can do by scanning the QR code on their driver's Cargo box), but Uber says it "envisions" integrating Cargo into its own app down the road. The partnership with Uber is beginning first in San Francisco and Los Angeles, where Uber drivers can pick up a Cargo box at one of Uber's driver support locations. Following the initial rollout, Uber says it hopes to continue expanding support for Cargo in more cities. I‘m happy when a driver is focused on providing a safe ride. Already too much multitasking happening while driving these days. I'm fine with respectful people paying to ride in the back of my Tesla. I'll be quite pissed if they start eating and making a mess back there. Cleaning crumbs up afterwards is not worth making $1. Exactly my thinking. Get me home safely where there are plenty of food and drink waiting. Can i suggest having ice cream vans drive people about in hot weather, so we can have access to fresh cold 99's? hmm.... How about a hot dog stand crossed with a rickshaw? Buy all the products offered, and take a dump in the now empty cargo bag. Works amazing well and provides for the most important innovation to lift humans out of poverty after millions of years in the dirt but of course it’s totally a joke and broken. Rolls eyes. You bet your dang modern life style self regulating market. Thank goodness for it. My modern lifestyle is based on a mostly self regulating market with a central authority to oversee that it largely works in society’s best interest. Thank goodness for that. Explain to me how tipping isn’t broken. So it's like snack consignment. Driver gets them for free so they can sell them for Cargo and then get a kickback. Side note... Why are 5 star ratings so important to drivers? I've used Uber maybe 10 times (and Lyft, too), and when I input my location it's the driver that chooses whether or not to accept my trip. Not like I can pick which driver I want, so why is the driver rating that big of a deal? They have to maintain at least a four or they are kicked out by Uber. A single one rating then takes three fives to then offset and maintain the required four. Uber this week announced a partnership with startup "Cargo ('https://drivecargo.com/')," which aims to increase the wages of rideshare drivers by providing them with small containers filled with goods that riders can buy during their trips (via TechCrunch ('https://techcrunch.com/2018/07/19/uber-partners-with-cargo-to-help-drivers-make-money-by-selling-stuff-to-riders/')). I mean, you could just hire them as actual employees and then simply literally increase their wages, if you actually did want to increase the wages. Cargo works by providing drivers with a free Cargo box filled with free products and free shipping on all product replenishments, as long as the driver has at least a 4.7 rating. Oh sure. Make their wages contingent on how a customer feels. That’s not problematic at all or anything. I've never used Uber - dunno if it's available in my country - I'm lucky to be able to walk / cycle where I need to. PS am pro capitalism lite - as practiced in most Northern European countries.